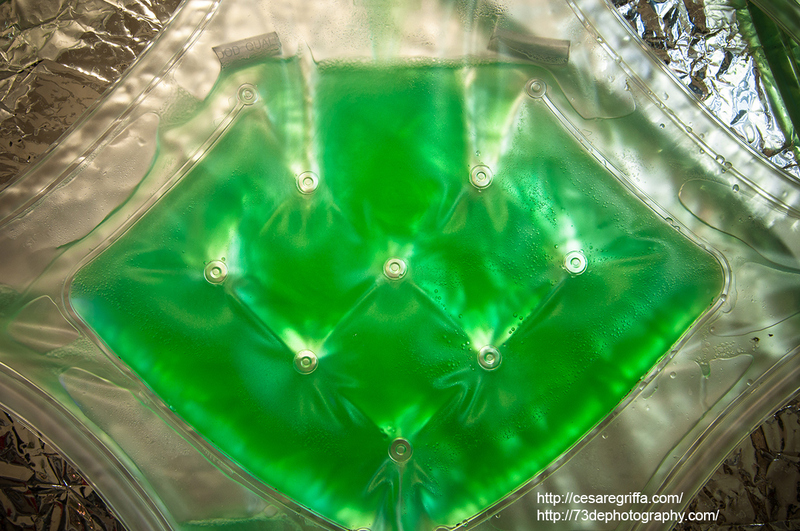 2014 March 31 griffa2 Comments on Why microalgae biotechnology is important in architecture? 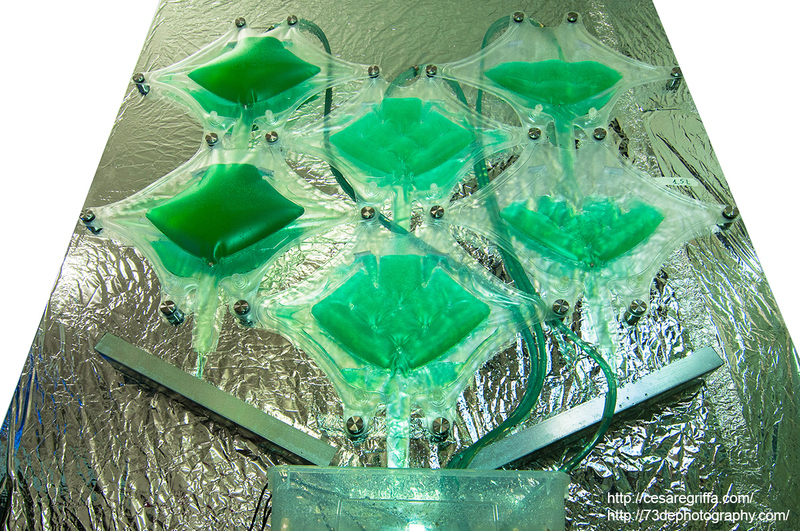 Why microalgae biotechnology is important in architecture? Cyanobacteria (the procaryotic microalgae) are believed to be among the first living organisms that appeared on Earth about 3.5 billion years ago. At that time the atmosphere was composed mainly by nitrogen and carbon dioxide, no oxygen. Through their photosynthetic activity, micro-algae are considered responsible of the Oxygen Catastrophe (Great Oxygenation Event), approximately 2.4 billion years ago. This was probably one of the most dramatic pollution events in the history of the planet and it changed forever the atmosphere composition, creating the conditions for human life (among other species that need oxygen to survive). Of course, it took quite a bit to these little photosynthetic organisms to create their big revolution (close to 2 billion years), but we have to consider that at its beginning, the photosynthetic activity was quite slow, and that it is believed that, at today’s rates, modern oxygen levels could be obtained in only 2,000 years. The main cause of global warming is believed to be the rise of the carbon dioxide and other greenhouse gases levels produced by fossil fuel combustion and other human industrial activities. The beginning of the industrial era during the XIX century corresponds to the beginning of the air pollution as we know it today, and it’s a phenomenon that dramatically increased over the last 60 years. The variation of the atmospheric composition affects dramatically the climate, and some future scenarios talk about possible temperature rise of more than 6°C. Ocean levels will rise, precipitation patterns will change, and other effects are even difficult to figure out. Reducing global warming is a main challenge for most governments. This can be done by: 1. reducing greenhouse gases emissions (by reducing fossil fuel combustion), 2. re-fixing existing carbon dioxide molecules from the atmosphere. Microalgae fix significant amounts of carbon dioxide molecules, while producing oxygen and algal biomass. This is what all photosynthetic organisms (including plants) do. But microalgae are more efficient because they are unicellular organisms and don’t need to spend energy for support structures. Another interesting property of microalgae is that it is not particularly difficult to extract bio-fuels from them. In fact, petroleum in all its forms is nothing but the result of the fossilisation process of microalgae from early ages that sunk underground after dying, and got transformed through the effect of temperature and pressure. The bio-fuel potentials of the algal industry are often what most impress public audiences about microalgae. It would be great to burn bio-fuel instead of fossil fuel, avoiding carbon dioxide fixed million years ago to travel in time and be released through combustion in contemporary atmosphere. But it is also important to say that today, without appropriate public funding, the production of algal bio-fuels is not economically sustainable. Microalgal productions are sustainable only for richer markets like pharmaceutical, cosmetic, and nutraceutical. Nevertheless, researchers are at work, and inventions that will make algal fuel economically successful are likely to happen. And may be also other fossil materials like plastics could be soon replaced by amazing new bio-polymers of algal origin. Why microalgae biotechnology is important in architecture? Well, the response could be: because microalgae are important for a human friendly planet. Architecture surfacing is an incredible space resource. Urban façades represent billions of square meters that instead of being dumb mineral could become clever photosynthetic surfaces to give a response to climate warming. Green microalgae could implement the green plants urban systems, enhancing their carbon dioxide fixation activity, and as cladding for buildings boosting the passive cooling and increasing the shading of the façade, opening up to an incredible potential for new renewable energy resources, and hope. Credits: design by Cesare Griffa with Matteo Amela, Federico Borello, Marco Caprani; technical support from Environment Park Spa (Turin, Italy), and Fotosintetica & Microbiologica srl (Florence, Italy).